Meditations is a collection of twelve books written by Roman Emperor Marcus Aurelius. This set of book was originally compiled in the form of private journals. Marcus Aurelius used these notes as personal guides to live by and to better himself as a ruler. He compiled these journals during his time as emperor, and while they were not intended for public consumption, there are valuable lessons to be gleaned from his wisdom. The entries include his views of stoicism—the Hellenistic philosophy devoid of “destructive emotions” that could tamper with logic—and its practical use in ruling and military tactics. 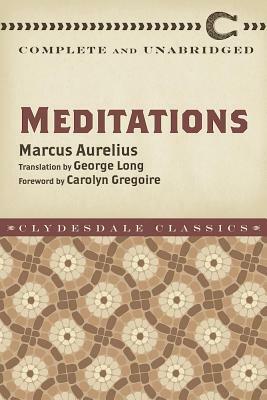 Completely unabridged, with a new foreword written by Huffington Post writer Carolyn Gregoire, this publication of Meditations is an all-encompassing collection of Marcus Aurelius’s works. Marcus Aurelius was born in 121 AD. He was the Roman emperor between 161 AD and 180 AD. His Meditations are our closest link to Ancient Stoicism and its practices. Carolyn Gregoire is a senior writer at the Huffington Post. Her focus areas include human behavior, psychology, and neuroscience. Her work has been featured in the New Republic, Time magazine, Scientific American, among other publications. Additionally, she is the coauthor of the book Wired to Create. She lives in Brooklyn, New York.